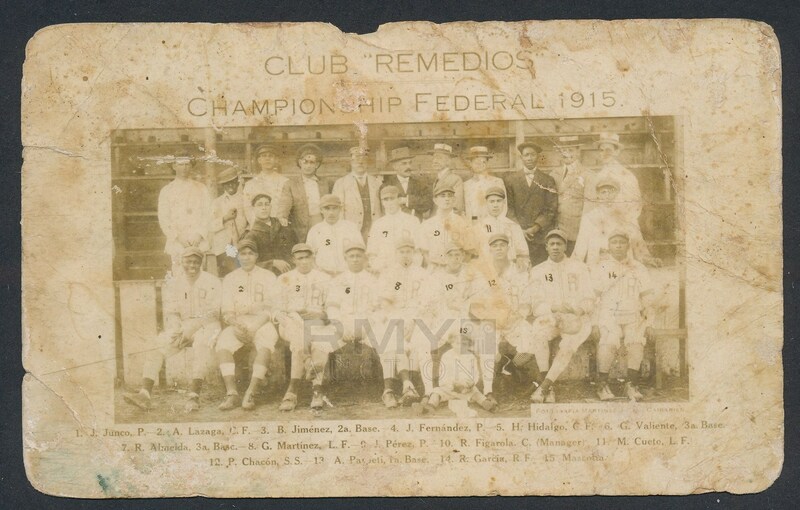 Lot # 5: 1915 Cuban Remedios Team Photo, "Real Photo Postcard with Pelayo Chacon" Important Baseball Card! Despite some wear from handling, this is an incredible survivor and one of the first true baseball cards of Cuban players from the era. 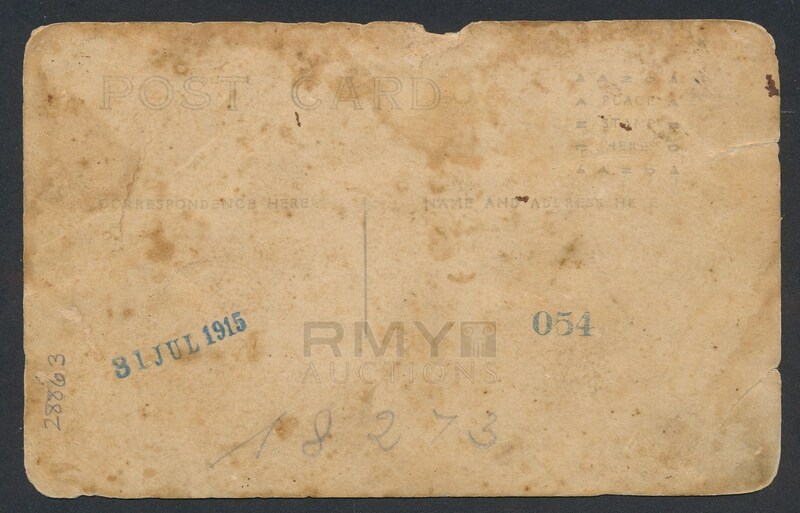 The rarity and importance of this card is hard to overstate.